Did you know that Neuland® also manufacture furniture? Indeed, we do and we are good in it. As professionals for the furnishing of dialogue-driven events we belong to the top- interior designers of the training rooms in the industry as well as conference hotels. This is just a small overview of our furniture range and service. Mobile and height-adjustable projector stand with an elegant three-legged stand. Visual protection and advertising medium - a smart attachment to BeamerRack TM2. Visual protection and advertising medium - a smart attachment to TM2 Lectern. 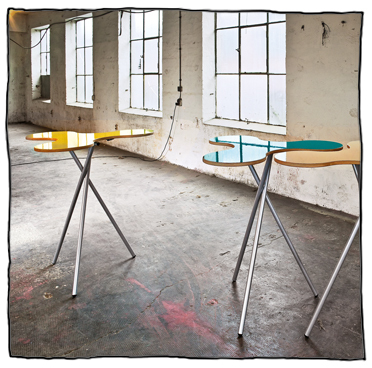 Elegant, mobile and height-adjustable Interaction Table with community friendly working plate.